HAVE YOU MET THE LEE FAMILY ? Have you heard of the Lee family ? Have you met them ? 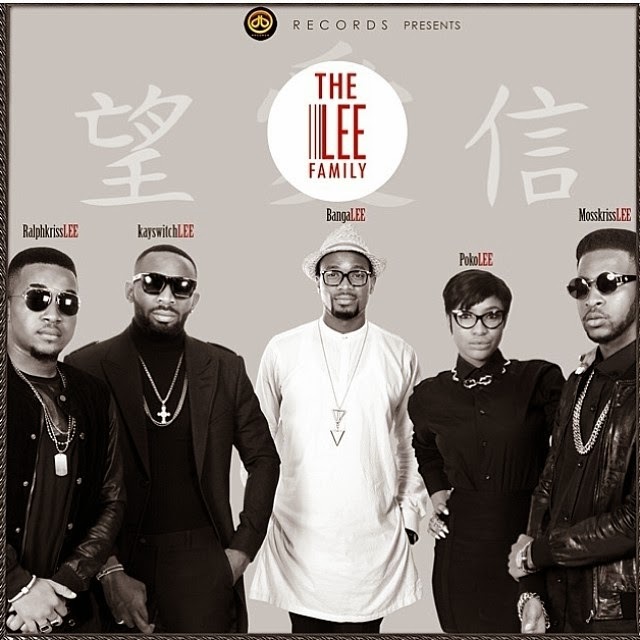 well i’m presenting to you THE LEE FAMILY by DB Records. 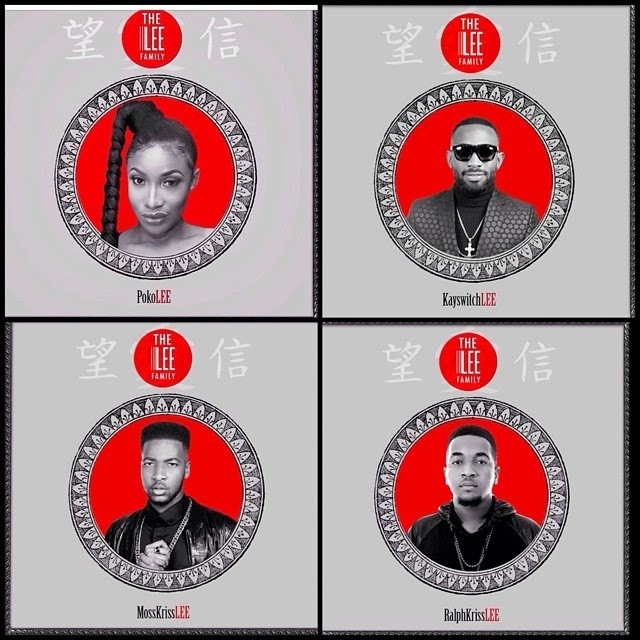 Dbanj has unveiled the DB records “Lee” family including Tonto Dikeh who will now be known as PokoLee, Kayswitch as KayswitchLee, MossKriss as MossKrissLee, and RalphKriss as RalphKrissLee. And as you may already know, Dbanj as BangaLee. 19 recording artists. 11 countries. 10 languages. ONE message to African Leaders: Do Agric, It Pays! One of Africa’s biggest collaborations, ‘Cocoa Na Chocolate’. The participating artists are: A.Y. (Tanzania), Bufallo Souljah (Zimbabwe), Dama Do Bling (Mozambique), D’Banj (Nigeria), Diamond (Tanzania), Dontom (Nigeria), Fally Ipupa (DRC), Femi Kuti (Nigeria), Judith Sephuma (South Africa), Juliani (Kenya), Kunle Ayo (Nigeria), Vusi Nova (South Africa), Liz Ogumbo (Kenya), Nancy G (Swaziland), Omawumi (Nigeria), Rachid Taha (Algeria), Tiken Jah Fakoly (Cote d’Ivoire), Victoria Kimani (Kenya) and Wax Dey (Cameroon). This week , Our Celebrity of the week is a Multi-talented ,hardworking , Multi-award winning music producer ,singer-songwriter, musician, also a philanthropist and former chief executive officer of Nigerian top record label Mo’ Hits Records,currently CEO of the Mavin Records label.He is No other than DON JAZZY . His story is one for all to read . From an akara seller to Biggest Boss in Entertainment Industry. Second in the series of Top 10 2013 is about the best Nigerian celebrities who got their names rocking 2013. Today’s feature is on celebs in naija that rocked the year and got their names on the lips of the nation and globally . So join me and lets do this. …and the video truly delivers the message – “Top of The World”. I love the video . Its not just the dance , dance usual kind of stuff we get from dbanj and most artist . At least for a change its cool and you can sing along with it . Its inspiring and soothing. The song was the official song of the African Nations Cup 2013 which the Super Eagles of Nigeria won, shows highlights of the Super Eagles of Nigeria amazing run to the 2013 trophy which they had last won in 1994. Directed by GodFather Productions, the video for Top of the World is dedicated to the Super Eagles and their first cup in 19 years. download the audio and watch the video. International hitmaker, Dapo Oyebanjo popularly known as Dbanj has released the official theme song for Hennessy Artistry 2013. The mid-tempo track, which is titled “Raise Your Glasses”, premiered at 1PM today on The Beat 99.9 FM.